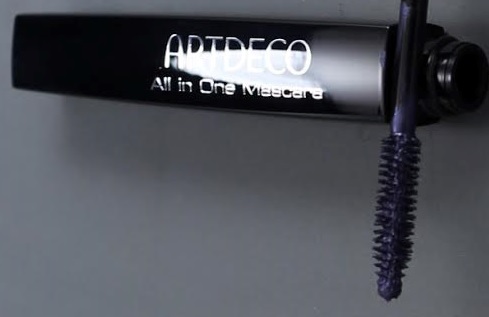 Artdeco All In One Mascara in a fun Blue Violet shade from the Love Is In The Air Spring/Summer Collection - $22 - provides perfect lash styling with maximum volume, visual extension and great curl. Two lash brushes in one are supposed to supply your lashes with more volume and separation at the same time - separation and length is good but there wasn't much in the way of volume. When I tried to force volume on the right hand eye with an extra coat it just started to clump. With a long lasting formula that includes carnauba wax to nourish the lashes and maintain their flexibility. I thought the blue violet colour sounded fun but as you can see it shows up very little on the lashes so don't be scared off if you aren't into colour!